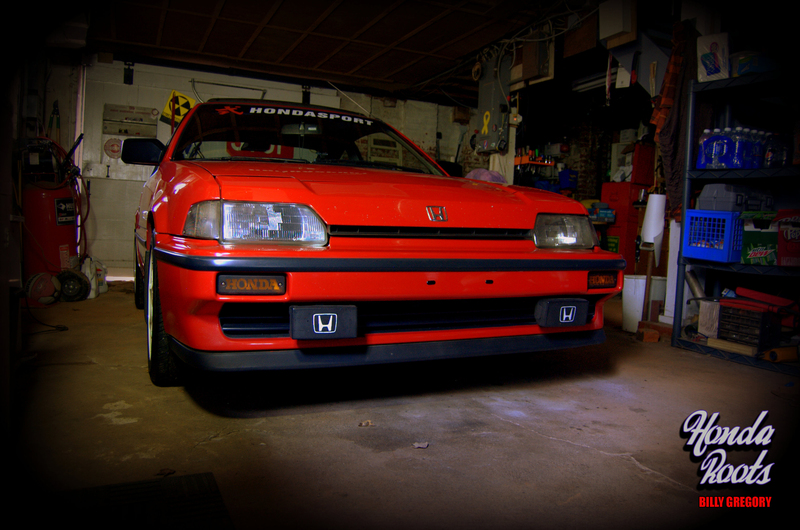 Well, it’s that time again… Time to get that old Keihin dialed in for smog testing. If you’re super lucky maybe you even have a bitchin set of sidedraft Mikunis that howl like an angry wolf on fire. If you live in a state (Or country) that doesn’t do smog testing then you’re in luck, and having an aftermarket carb is simply a matter of choice. That being said, the Keihins used in most early European and JDM models were a bit simpler to work on and lent themselves to easier tuning (Relatively speaking of course). The 3 barrel octopus under MY hood however is a finicky beast, and never seems to be perfectly tuned. This is not due to lack of trying on my part, I can assure you. 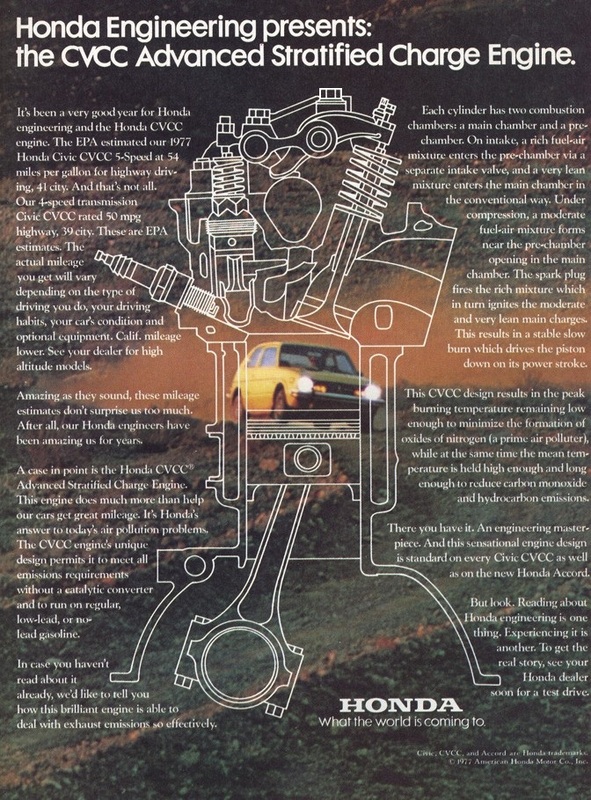 There IS a reason why it’s such a pain though: Back in 1975 Honda introduced something called CVCC (Compound Vortex Controlled Combustion) in the newly released Civic as a way to meet stringent new emissions and fuel economy standards laws that were to be met by all manufacturers by 1975. Most other manufacturers (Namely domestics) tried to solve the problem by running their cars on a leaner fuel-air mixture and using air injection pumps, catalytic converters and other performance inhibiting devices. By the time the U.S. manufacturers had reached the 80’s the Engine displacement VS. 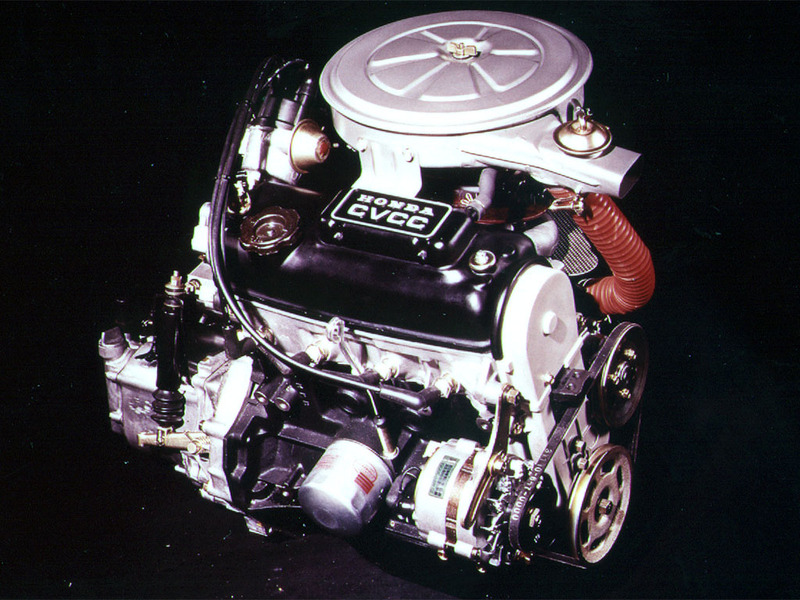 Horsepower output figures were abysmal: For example the 4.4 liter V8 found in the 1980 Chevrolet Camaro put out a whopping 120 Horsepower. Honda tried a different approach and realized the easiest way to meet these standards was by simply leaning out the mixture, however if you run too lean eventually you reach a point where you can’t start the combustion process. Click here to see an EPA report on that testing. Anyhow, due to this ingenious design Honda managed to meet the requirements of the stringent emissions laws and they even managed to do it without the use of a catalytic converter, no easy feat. In California, in order to keep your car registered and legal to drive, every 2 years you need to have your car tested for smog output, a test which measures it’s HC (Hydrocarbons) CO (Carbon Monoxide) and NOX (Oxides of Nitrogen) while driving at 15 and 25 mph. Now unfortunately not only did Honda make their carb with 3 Barrels, but they made it very difficult to adjust, in fact if you don’t know exactly what you’re doing, you’re better off leaving it alone. 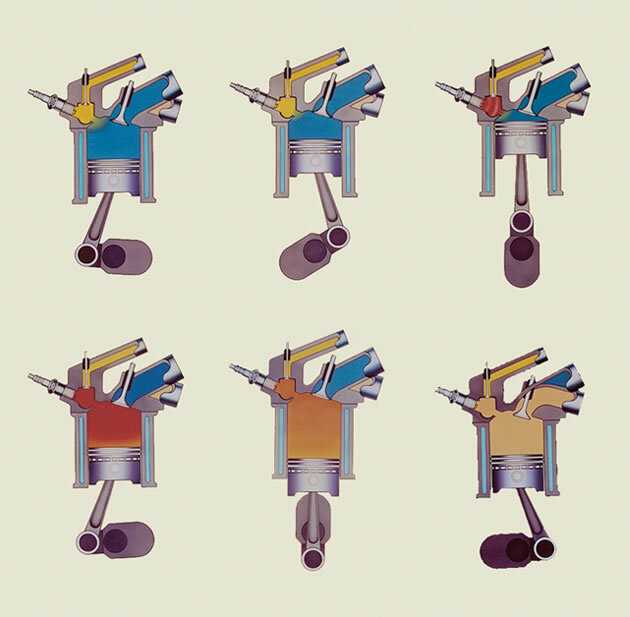 Most carbs are relatively simple to adjust or tune…and yet in comparison adjusting the 3 Barrel Keihin can seem like trying to perform brain surgery with chopsticks. With this in mind I’ve been stupid/stubborn enough to attempt the impossible and I have not only rebuilt my carburetor but also managed to tune it to pass smog testing, something which I dare say I’m quite proud of. I’ve had an ongoing personal battle with these carbs for many years and after so much time, research, and effort I’m going to pass my knowledge on to anyone who wants it. So, with this in mind my next piece will be about the various components of this nightmare of a carb, and what you need to do in order to dial it in for testing. After that I will do an installation video showing you how to remove the factory carb and put a Weber on it which is not only a LOT easier to tune but will allow you to remove those ugly black boxes, that tangled mess of vacuum tubing and clear up some real estate under the hood. Since I would never use an unapproved carburetor on my car (Insert knowing wink here), I’ll do it all in the name of science! ← Trials, tribulations and determination. 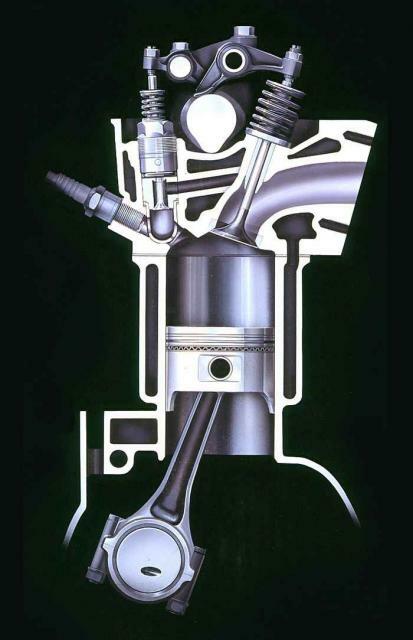 You can also change over to a Canadian standard two-valve head and eliminate the CVCC all together. I ran a ported and polished Canadian with a Weber DGV and big cam back in the 70s. Ethan, Were you able to get the Weber thru California smog? I was tempted to try and “hide” it beneath the factory air cleaner box (Hoping the tech doesn’t notice anything strange) and just test it as normal since I am fairly certain it WILL pass the sniffer test. My other option would be to simply leave it as is and take it to the smog referee. I lost my nerve though and put the factory spec carb back on for testing. I will not (Publicly, wink wink.) endorse the usage of a non C.A.R.B. approved carb, however I will say that swapping them around is easier than it appears. Installing the Weber = Easy, re-installing the factory carb is a LOT more of a hassle but gets easier as you become more familiar with all the vacuum tubing. I would suggest that if you want to install a Weber I promise you will LOVE it, just don’t let the smog man catch you! Yes, I went thru the Smog Referree fiasco. Since I was transferring title there is not limit to what I must spend to pass. I went so far as to get a letter from the Honda dealer that the parts I needed were unavailable and that buying 40 year old carburetor parts from the junkyards they are in cahoots with is a ridiculous waste of money. I told them how hard parts are to find. You’ll like this- they told me they found a carb on Ebay. It was a Weber. State workers at their finest. I sent my Carb to National Carburetor in Florida to get remanufactured. Got it back a few days ago. I still have problems. It basically floods itself at idle and I suspect it’s those 3 hard to find electric solenoids on the card of some bad smog vacuum parts. I wonder if bringing donuts to the smog shop will help. I need help. 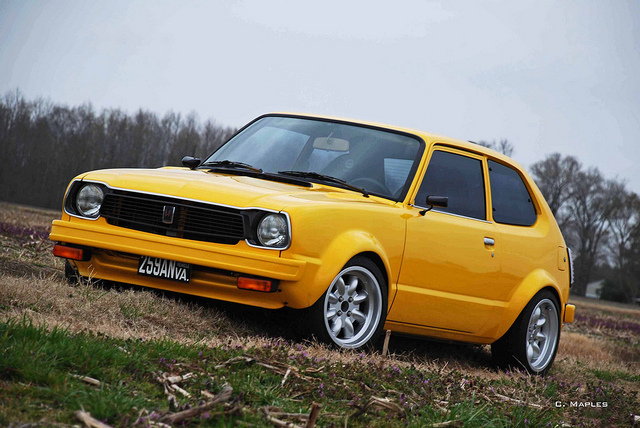 I have a 79 Honda Civic CVCC with a 76 engine. All was well UNTIL the floats sunk and it started pouring gas in at a rate that fouled my plugs every 5 miles (going to school) so badly that a 5 mile trip back home wasn’t an option short of installing new plugs. Since I’m an Aviation Maintenance Tech Student, we have spark plug sand blasters for aviation recip engines, so every day I blasted 2 sets of plugs until I got my truck out of the shop – then the Honda went in to be worked on. THAT was 11 December. It is now 17 June. 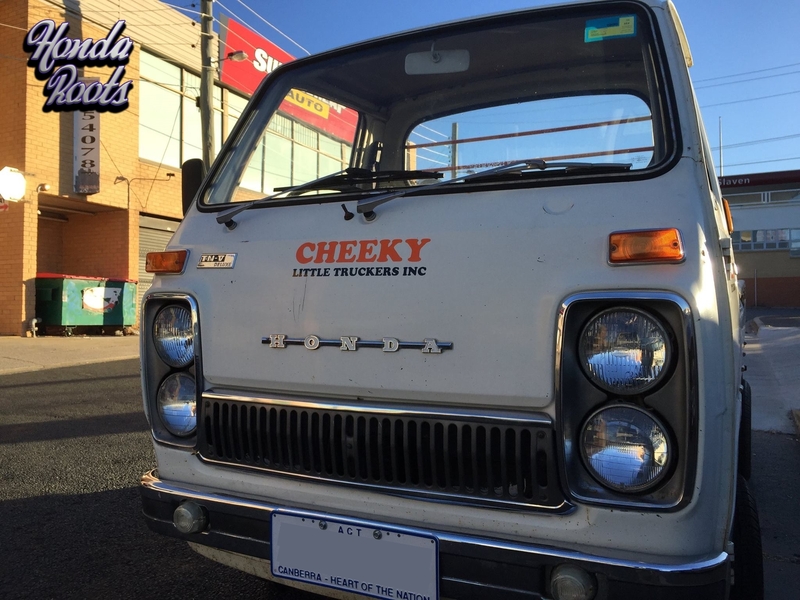 The first shop fouled the job so bad that I had to have it towed out – it wouldn’t even drive out (but it drove in). The 2nd shop got it running, but the idle circuit has the engine “idling” at an RPM that was on par with driving at 40 MPH in high gear. 3 new replacement carburetors later and they (the Honda dealership) gave up. 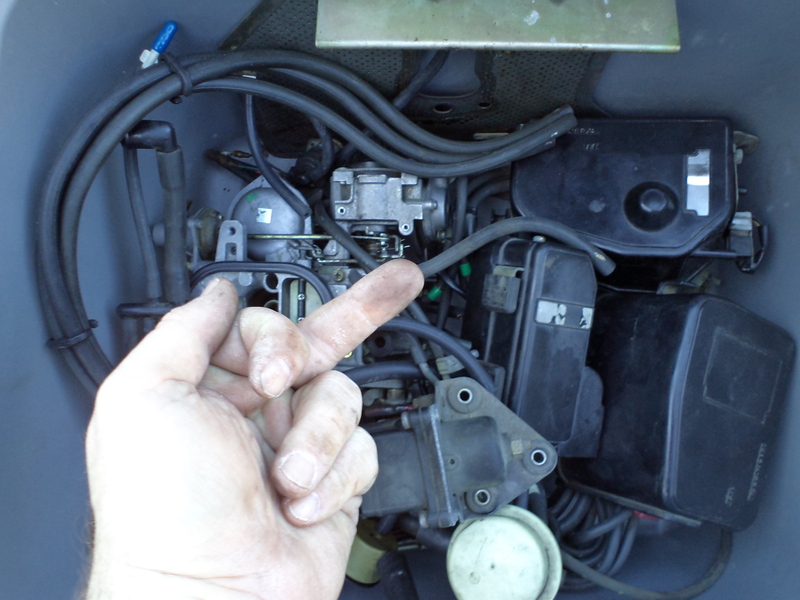 If I can believe what the service manager is telling me, the problem is in the idle circuit; but can I really rely on his (or his mechanic’s) opinion when it was they who swore that the Carb reman folks were sending junk for newly rebuilt carburetors – only to do an about face and declare themselves to be “unqualified”?? 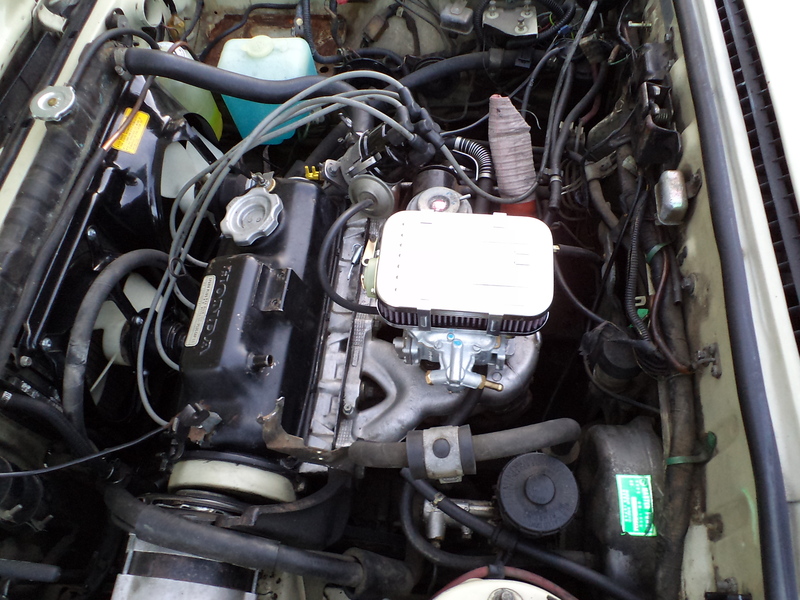 So, I worked on this carb 25 years ago (same carb, same car – that show king I’ve had it); but I had a book then – and quite frankly have forgotten MOST of what I ever learned. Anyone out there who reads this may contact me via email or be phone/text. If you tell me what I need to do, I can do it – I just need a mentor who KNOWS what to ask so to figure exactly what I need to do to get it working properly. The gas my truck is guzzling is killing me compared to what my little Honda will be “sipping” once I get it running right again. 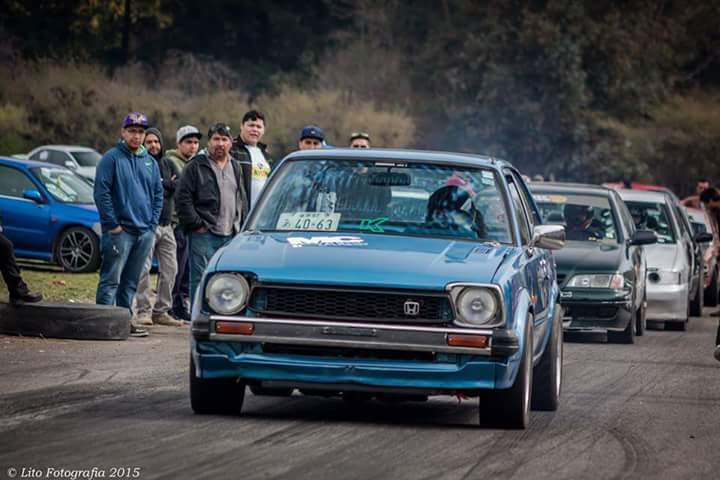 I have a 76 cvcc civic which had the orig. carb with same problems, replaced it with a weber 32/36 progressive carb.. No problems siince then. 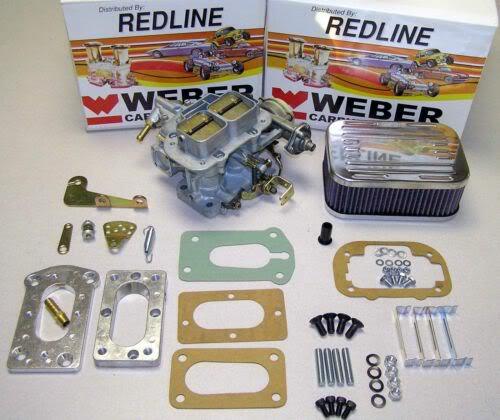 Runs great, they sell the direct replacement on line for $325.00 complete kit. Hi Jerry! I’m not sure if I can give you the magic ticket to solve all your ills but I can certainly throw in my 2 cents. In regards to getting all rebuilds when you order a new keihin carb I’m afraid that’s pretty much all you’ll find, and while I’m sure they get cleaned and serviced nicely I’m still not always sure that some shops understand how a cvcc carb works in terms of mixture settings I.E. Rich on the tiny barrels, Lean on the other 2. I would either suggest getting a rebuild kit (Napa probably carries them) and simply rebuilding one yourself (Tricky but not impossible), or if you are in a state without smog testing and just want to say F it and spend your way to a solution, I would highly recommend getting a weber 32/36. It will cost around 350$ but it will work like a charm once you get it dialed in. If you do want to continue fighting it out with the keihin I would suggest checking our photo albums section on our Facebook page, as I’ve posted some helpful old technical articles and manuals regarding servicing the old keihins there. I hope this helps, and please feel free to keep us updated on your progress or hit me up (on our FB page) for any more questions. Ethan another question, do I need to keep the honda plate handy that the feeds vacuum to the brakes and distro vac advance or will there be outlets on the Weber for that? If you get a Weber from Ebay (Redline Motorsports probably?) you should be able to get it with the mounting kit. There’s a hook up for your brake booster vacuum hose on one of the mounting plates you get in the kit, and there’s another vacuum port on the carb itself that runs to the distributor, in other words as long as you get the mounting kit when you buy the Weber it should have everything you need, but the kits are also available separately if you get a Weber from elsewhere (Mind you the jets might need to be changed if you do). When you take the Keihin off take EVERYTHING off the manifold, you’ll even have to unscrew the double ended mounting studs by using the “dual nut trick”. You may want to pick up a few feet of 3/8″ (Fuel line) hose for a few bucks while you’re at it since It’s not strictly necessary but you might want to replace or re-route the brake booster hose and/or the fuel line while you’re in there. Before you take the plunge on a Weber you may want to fiddle with your Keihin first. It sounds like you’ve got nothing.to lose anyhow so you might as well try and work the bugs out first before giving up on it. 1) It’s running too rich and just needs to be leaned out by adjusting one or both of the idle mixture screws..
2) The floats need adjusting or are sticking. I’ve heard mixed reviews about National Carb, and while I’m sure they do fine work I’m not so certain about their ability to adjust the CVCC Keihins properly, they are a pretty finicky device! I would never claim to be any better at adjusting a carb then they are, after all they are pros, but I do think that these Keihins are so touchy that they really need to have their final adjustments done ON the vehicle. I feel really badly that I haven’t done a part 2 video on the Keihin yet. I had intended to do a video discussing opening the carb up and cleaning/replacing parts, and also how to re-adjust the floats and idle mixture screws once you’ve reinstalled it. I’ve sucessfully removed and rebuilt my carb AND passed smog with it. It’s tricky but it IS do-able with a minimum of tools and some attention to the right details. Looks like I need to get cracking on that vid! 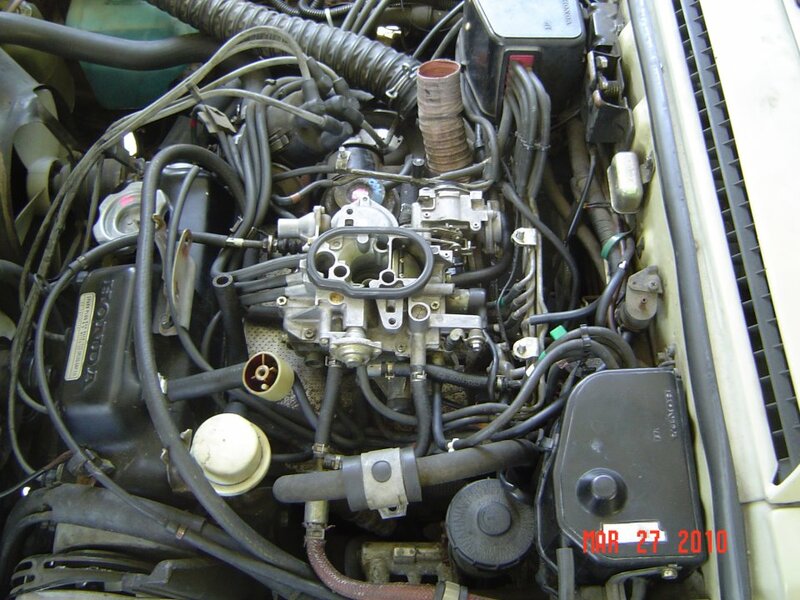 i jst recently bought a weber 32 36 and its causing flooding problems and wont start at all….. it keeps flooding the back of the intake out……reminder this is a 1.8 liter…… and with the old keihen we had the same problem…..
this is a 1981 honda acoord hatchback 1.8 liter 5 speed……. Sounds like you need to switch to smaller jets! Oh and there is one more thing I need help with. And this would be do with the cooling system fans not working. I’ve replaced both sensors that look alike as in the one on the bottom of the radiator and the one in the head. And still no cooling fans. BTW I forgot to mention the temp gauge doesn’t work as well. So if there’s a way to hook a different temp gauge up let me know. And thank you once again for everything. I’ve got an unusual dilemma that I can’t seem to find any direction with. I’ve got an ’80 Prelude with the stock carb that came from a low altitude (Wisco) and am still driving it at 8700 ft here in Colo. It now has about 185K on it and I’m pretty sure the carb has never been rebuilt. It’s started to run a little rough and idles sporadically and low to the point of dying. Right now I’m indirectly blaming the carb and figure it’s time to install a rebuild. 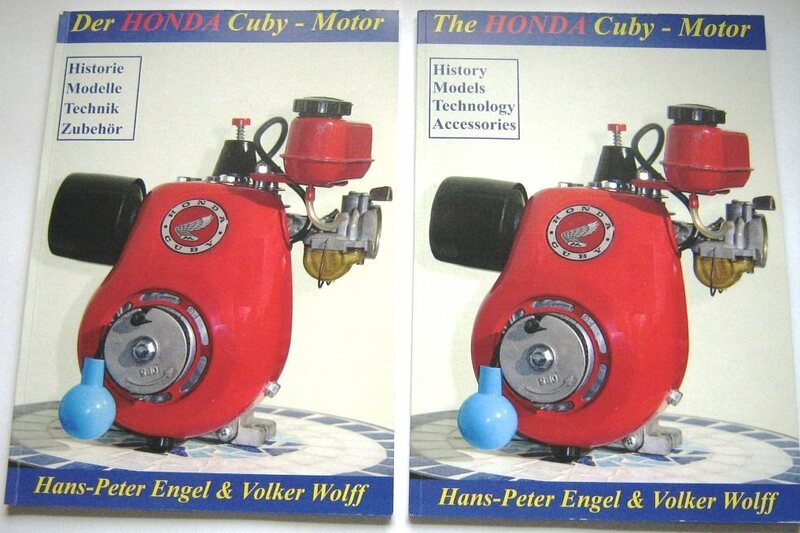 From what I can see in the Haynes and Honda manuals there are three different versions of carbs depending on where the car is operating for the most part; the 49 state, the Calif and the high altitude versions. Well I definitely fit in the high altitude version catagory but can’t find one or anything about it. Tthe manuals call for an ‘air jet controller’ devise that’s part of the carb but also looks like vacuum lines run from this AJC to another devise mounted on the firewall or wherever. I want the engine to run the best it can considering it’s been well taken care of and still very peppy. I figure it should have the right carb installed eventually. 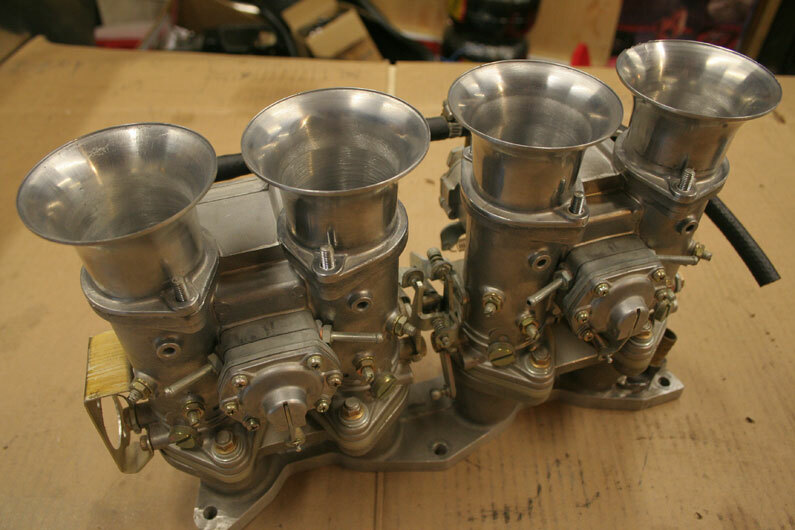 Is there a standard version carb that can be jetted for a high altitude or doesn’t any of this matter and just put a rebuild on and adjust accordingly? 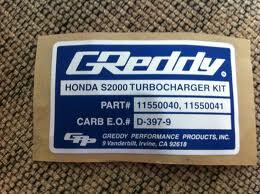 Where, if at all can I find this high altitude carb or conversion kit that you may know about. Also, the lifters are clattering a little….could that be part of my problem? I don’t think they’ve ever been adjusted. What light can you shed on this or suggestions you may have? I would really appreciate your feedback and assistance in this matter. Thoes two screws on top were the two gas line go in to what are the turn spekes on these? ??? Ethan did you give up the idea of ever doing part 2 video on the Keihin? Many would greatly appreciate this, but it apppears there is no incentive for you to do this? Hi . 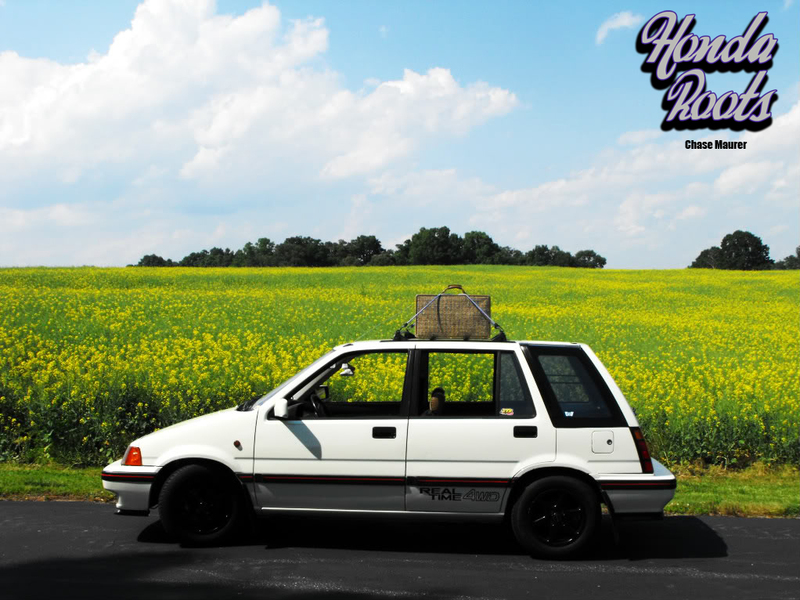 I have a 79 Honda cvcc. So this car is all original and I like to keep it this way. I can not find any info on the actual exhaust system . Meaning where it actually bolts on at the engine. The catalytic converter blew apart inside the exhaust . Can’t find any replacement or aftermarket? 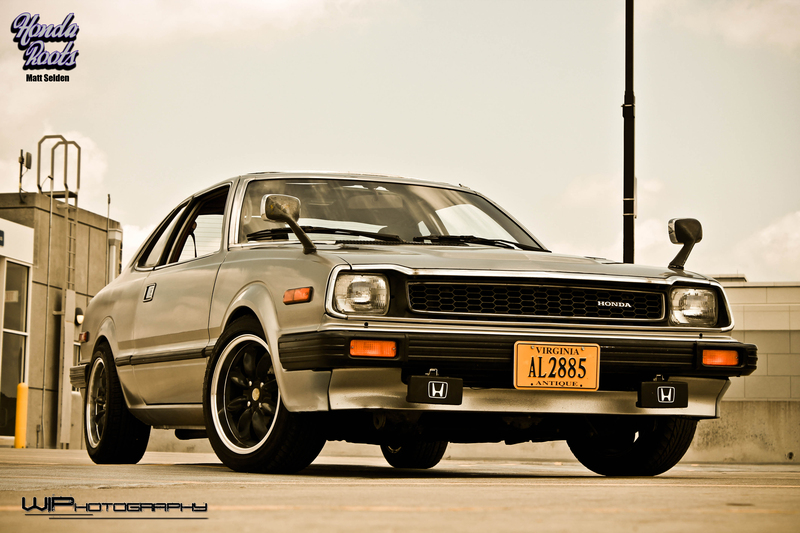 Hey, Jim…The 79 CVCC…is that an Accord or a Civic? Well, either way, I don’t think either one had cats. I know my 79 Accord does not have a catalytic converter. 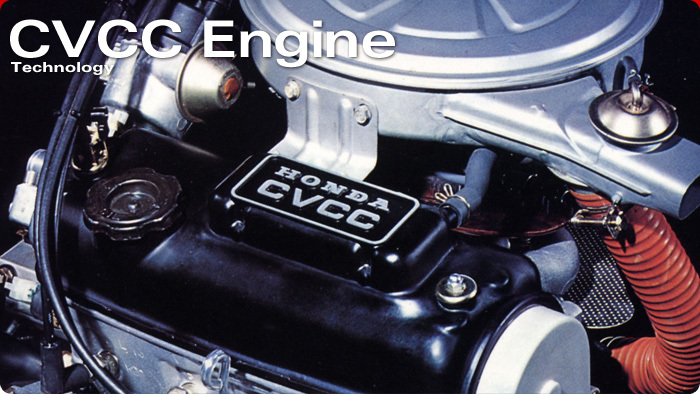 CVCC was developed by Honda to avoid having to use catalytic converters so the cars could continue to run on leaded gas. To all who run across this site…Looks like Ethan is no longer posting here. At least he hasn’t in the last couple of years. So how many of us are still out there keeping old cvcc Civics and Accords on the road? 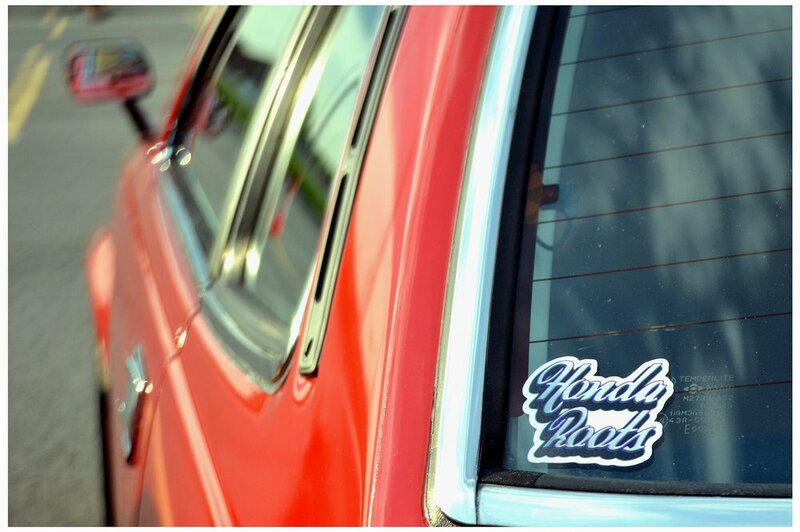 I still got my 78′ accord cvcc on the road! having carb issues though, driving down the road yesterday and it turned off. would start but would have to keep the gas on it. Either the fuel pump or carb. any help? Hello I have a 83 cbc and I am trying to figure out what kind of sidedrafts I would need?